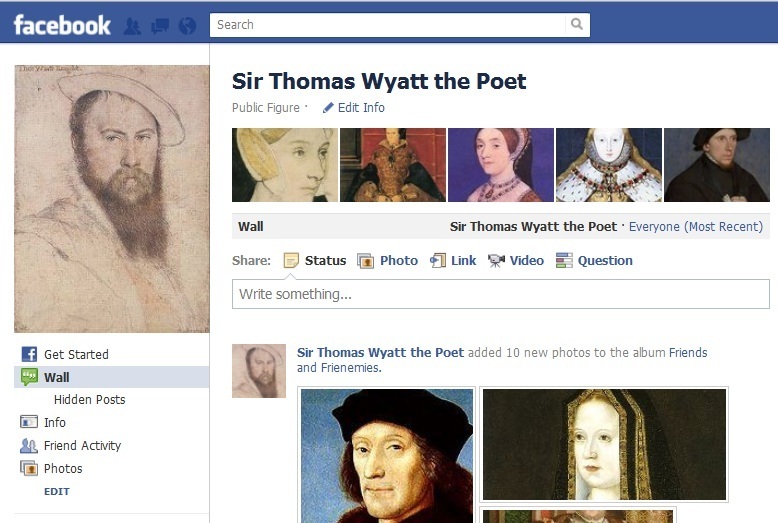 Go to Facebook, search “Sir Thomas Wyatt the Poet” and “Like” to share photos, information, etc. Thank you for this inspiring site. You have done a marvelous work.